Unwanted and uncared for – that’s the fate of many people as the population ages. Loneliness can wreak havoc on your health – so what can be done? 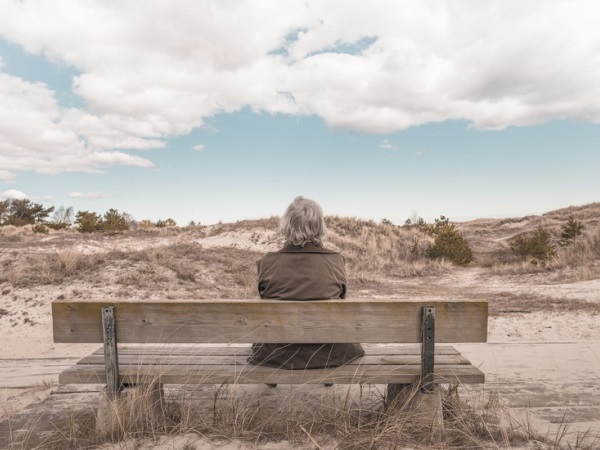 Researchers recently established that lonely people over 50 are twice as likely to die prematurely than their contemporaries who feel less isolated. “The pain of loneliness is akin to physical pain,” writes John Cacioppo, a professor of psychology at the University of Chicago in America, who headed the research project. He discusses his work in a new book, Loneliness: Human Nature and the Need for Social Connection. The world is experiencing a “silver tsunami”, with baby boomers now reaching retirement age and living longer because of medical advances, Cacioppo says. But many of these older people are feeling lonely. And loneliness doesn’t affect just your state of mind – it can also have a radical repercussions on your health. In fact, it’s even more dangerous for your health than obesity, Cacioppo and his researchers found in the study. The feeling that you’re cut off from other people can disturb your sleeping patterns, increase your blood pressure, negatively affect your immune system, worsen depression and reduce your feeling of wellbeing. Loneliness boosts levels of the stress hormone cortisol, which has a negative effect on your body. He and his team found in their research that when people retire, they often make a big mistake by moving out of their familiar environment and leaving their families, friends and former colleagues behind. “We find people who continue to interact with co-workers after retirement and have friends close by are less lonely,” Cacioppo says. “Take time to enjoy yourself and share good times with family and friends. BUT what exactly is loneliness, and why is it assuming life-threatening proportions? “It’s a sort of empty, restless feeling that you’re not good enough and no one really cares for you – a feeling of isolation, meaninglessness, rejection and worthlessness,” Cape Town psychologist ST Potgieter explains. Don’t become trapped in regrets about the past or anxiety about the future. Live in the here and now. See the good in life too. “We must learn not to just look at the disasters. There must be a balance otherwise our homes can change into trenches where we hide from the attacks of life,” Dooley warns. Older people are often afraid of technology, but it can bring people closer together. It’s a double-edged sword, however, because technology can also prevent you having personal contact with others because you’d rather Skype, email or SMS them. “Get out of your home,” Dooley suggests. Go on an outing at least once a day, even if it’s just to the shop around the corner. For instance, decide to go to the bank rather than doing your banking on the internet. That way you can at least greet the bank teller. Don’t wait for people to come over to talk to you. Make the first move. You can make a big difference with a smile or a telephone call. Build good relations by being a friend to someone. Listen attentively to what others say, forget about yourself for a moment and show real interest and empathy. If no one will or can accompany you to a social occasion, then go alone. Don’t stay away just because you don’t have a companion. It’s only when you fit into a new group or situation on your own that you can escape the web of loneliness. Find someone else who’s lonely, then reach out to them with a friendly greeting and start a conversation. With a bit of caring you could bring a bit of sunshine into a sad life. Get into new situations long before your 50th birthday, Cacioppo suggests. Get involved in societies and clubs you can remain a member of long after you retire. Don’t be passive. Regularly attend family gettogethers and show you’re interested in being part of your relatives’ lives and staying involved, Cacioppo says. Do voluntary work for an organisation. Make contact with others, even if they don’t have the same interests as you. There’s always someone worse off than you. Reach out to them and you’ll feel less lonely. Stay fit and healthy. Don’t underestimate the importance of exercise. It helps the brain release endorphins – feel-good hormones and also a natural pain reliever. Exercise also boosts the secretion of adrenaline, which makes you feel more alert. If you go to the gym to exercise, you also come into contact with other people. Don’t fall into the trap of filling your day with too many activities. People with hectic programmes sometimes make them that way to escape being alone. You still need time on your own so you can stay in touch with yourself and your feelings. Loneliness can have a positive side. Through the pain of loneliness you can get to know yourself better, and discover the depths of your own humanity. Loneliness can be the creative inspiration for self-discovery and personal growth. Don’t be afraid or shy to seek help. When you feel depressed and lonely, talk to someone you know will listen.